Charleville Castle is situated near the town of Tullamore, in County Offaly. It is a fine example of a gothic forest and is often surrounded by an oak tree forest which was once a ritual site of druids. The castle was built in 1798 by Ireland’s leading architect of the time, Francis Johnston. Leap Castle is considered to be one of the most haunted castles in Ireland. It is said to have been built by the O’Carroll clan in 1250 A.D. The place has been made scarier by placing up the human skeletons piled on top of each other. Ross Castle is located in County Meath and is situated on Lake Sheelin. It was in 1536 that the 12th Baron of Delvin, Richard Nugent and hence had the castle built. Leamaneh Castle can be found near Kilinaboy, in County Clare. In the late 1400s, the tower house was built there just as first by Turlogh O’Brien and one hundred and fifty years later. It is a four storey mansion house that was added on to the tower house by Conor O’Brien and his wife, Mary McMahon.The red-haired ghost still haunts the castle up to this day. in C. S. Lewis’ Chronicles of Narnia was also based on Dunluce Castle. Ballygally Castle as nowadays is called “Ballygally Castle Hotel” as is situated in County Antrim. It was built in 1625 by James Shaw who is a Scot. It is believed that Ballygally Castle has as many as three ghosts. Strange noises and an unnatural green mist over the castle have been reported. Kilkea Castle is located in County Kildare and is now a hotel in the company of a golf course but its history goes back for centuries. In 1181, Sir Walter de Riddlesford built the original mound in the midst of a stronghold and the enclosed courtyard. The castle was soon inherited by the Fitzgerald family all the way through marriage and remained in their hands for over 700 years. Thomas Boleyn just for the sake to secure his daughter’s, Anne’s, hand. The main ghost associated with the castle is that of a man who can be seen standing at the top of the tower. 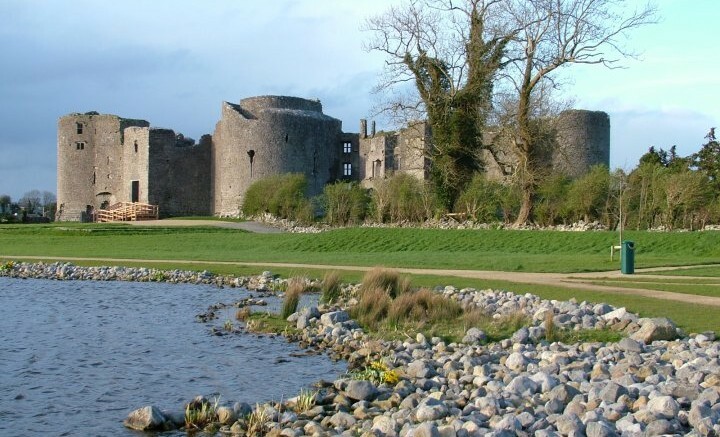 Killua Castle can be found in County Westmeath. The building we see standing today was built in 1780 and was then converted afterward to a gothic castle in 1830. The castle once belonged to the Chapman family. Ardgillan Castle is located in County Dublin and was built in 1738 by Reverend Robert Taylor. The castle remained in the Taylor family until 1962. Hence it was officially opened up to the public by the current President of Ireland at the time, Mary Robinson.